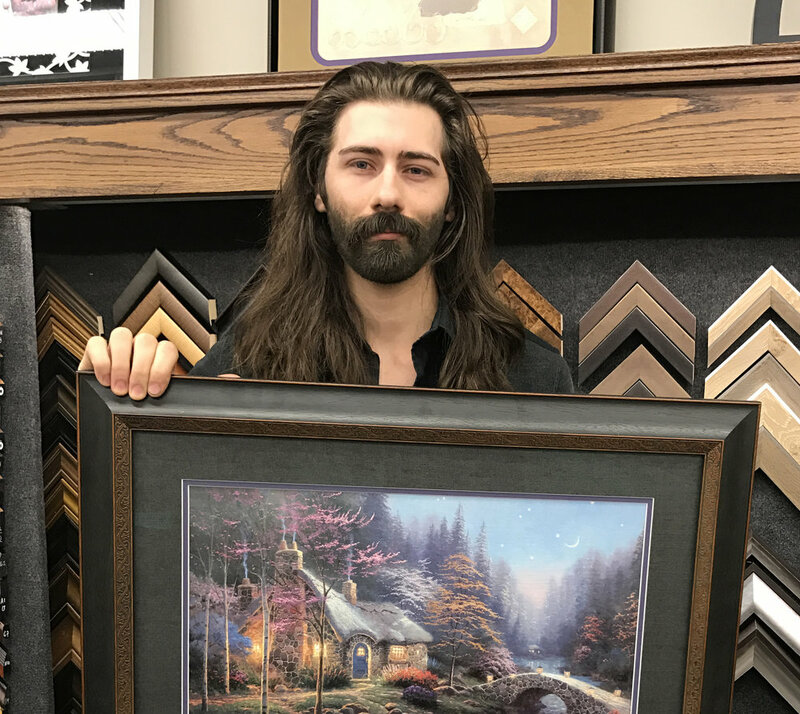 One of the biggest things that sets apart in the Custom Framing business is wounderful team of framing experts – they know how to get the job done right and are the ones who bring your piece to life, designing it with you and piecing it together by hand. Learn a little bit about our framing team below with some silly get-to-know-you questions. How long have you been framing? What’s your favorite thing you’ve ever framed? A beautiful antique watercolor painting done in a floating frame. If you had to be an animal, what would you be? A dog, everyone loves dogs! Any Hobbies or interests we don’t know about? The ability to talk to cats. It’s too hard to choose! Anything antique. I am really good at cutting hair! Al puts all the finishing touches on each and everyone of our frames after they are pieced together. How long have you been on the framing team? To be able to stop people from hurting one another. A restoration of a 100 year old U of I portrait frame. The woman I have loved for some 25 years. Lab or great dane – best behaviors of man or animal. 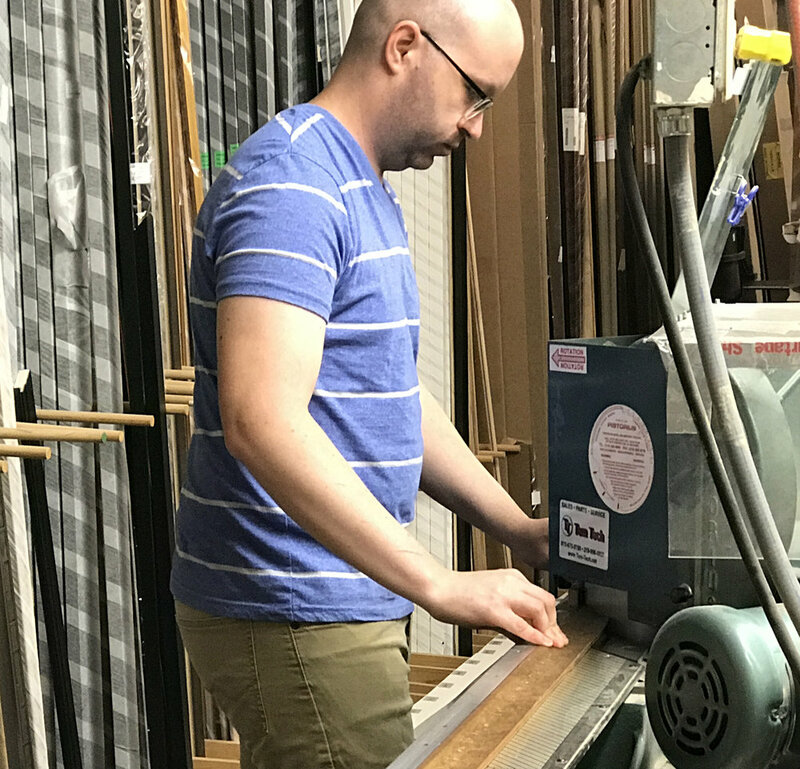 Travis cuts each and every wood molding and pieces the frame together. I’ve been at Prairie Gardens for 10 years and on the framing team for 7. A frame that was made into an “I” for “Illini.” It was fun and challenging to make. Tiger, they are both beautiful and fierce. 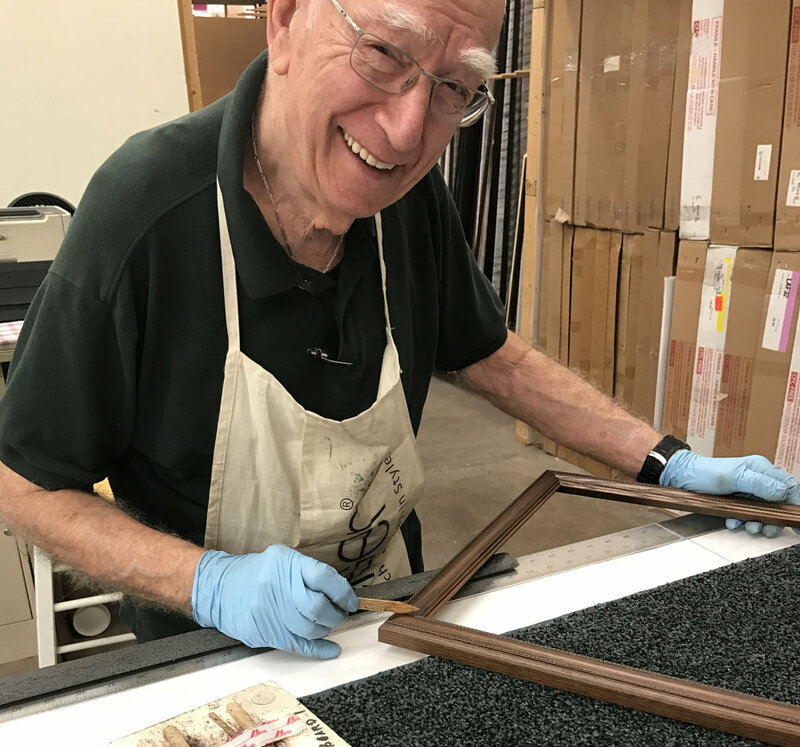 Fran cuts each and every one our mats for our Custom Frame Orders. I started with Prairie Gardens 26 years ago & I’ve been on the framing team for 14 years. To control my work from home. A piece with an 8-layer mat. Dog, because my dog is always there waiting for me. Have something you’d like framed? 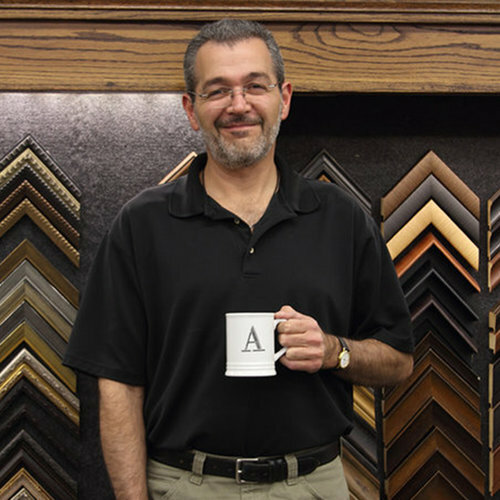 Click below to learn more about our Frame Shop. ← 25 Ways to Tie Scarves in under 5 Minutes!